•	Envision a home just beside the beach or park. •	Villa Mercidita is an exclusive subdivision that features an Asian Tropical theme beach, sea shells and Palm Tress swaying with the breeze, backdropped by a picturesque view of Mount Apo. 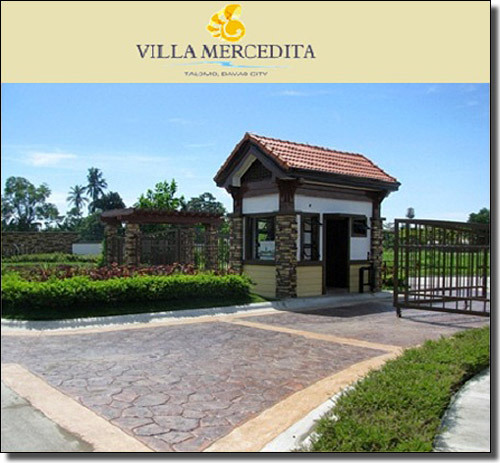 •	At Villa Mercedita, you have access to amenities offered by Mergrande Ocean Resort just a short walk away. Swim in the beach, take a dip in the pool, enjoy beach side meals in the restaurant, and hold parties, trainings, or even conventions at different facilities within Mergrande Ocean Resort. •	Stroll at any of the four pocket parks in the subdivision or watch your children frolic in the playground. The Cabana and Rotunda located at the center of Villa Mercedita are perfect avenues for family bonding. This inspiring lifestyle will embrace you at Villa Mercedita. •	10-15 minutes away from malls like Matina Centerpoint, SM City Mall, NCC Mall, Church like Matina Shrine, Schools like Ateneo de Davao High School, Banks, and other commercial establishment. Lot Cuts 110 - 367 sq.m. 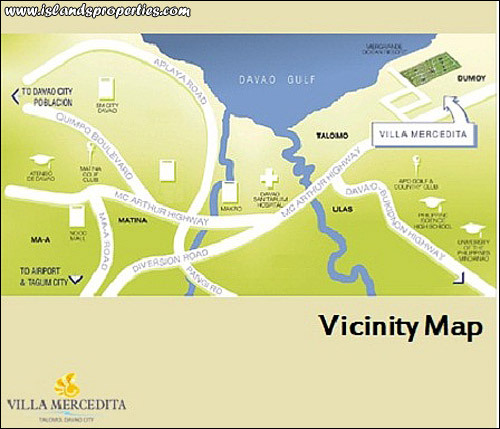 Selling Price PHP 6,280 - 7,085 per sqm. Lot Cuts 123 - 132 sq.m.